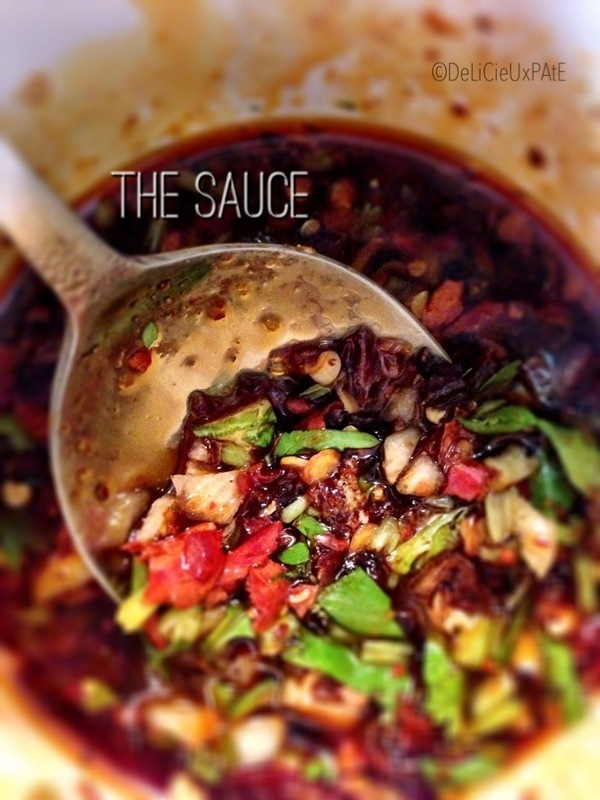 Love the spiciness and kick from shanghainese food. 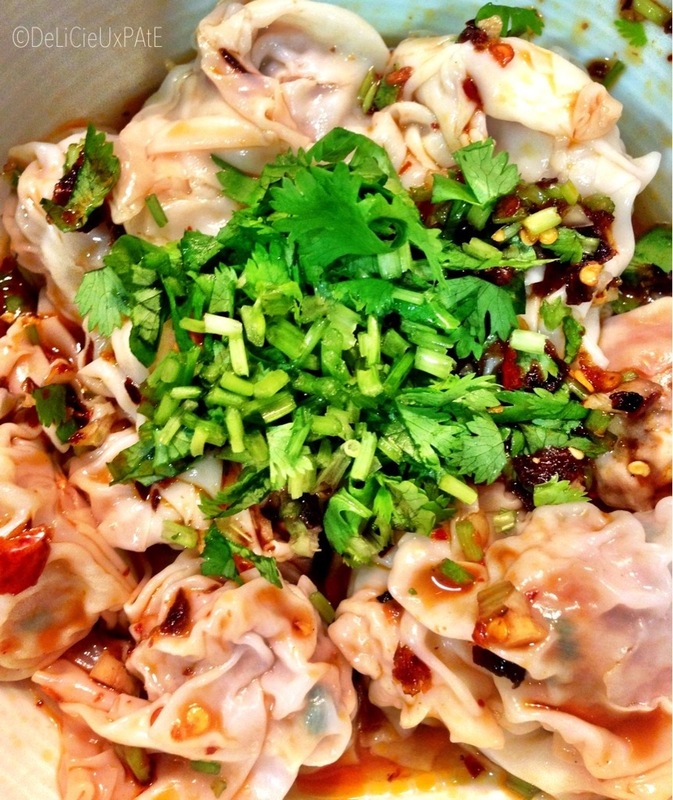 One of the easiest and fast to prepare dishes is the shanghainese spicy dumplings. The last time this was posted, there was no recipe. 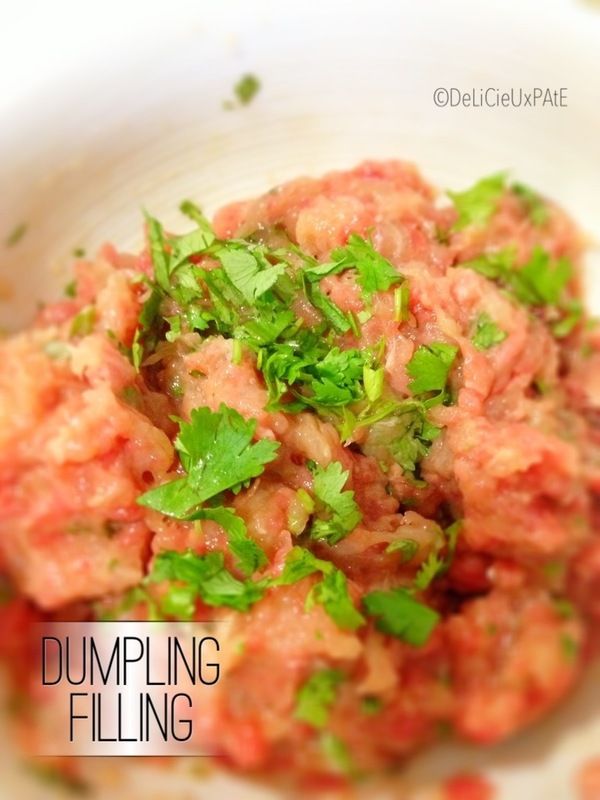 (Last post on spicy dumplings). So here’s my rendition and how I like it. 1. 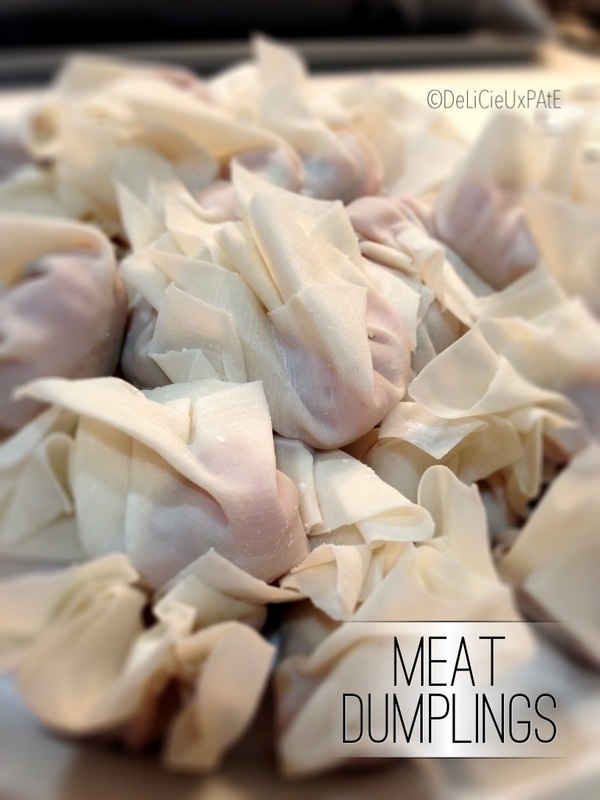 Depending on the size of your dumpling skin, place about 1tsp or a little more of filling in the middle, fold into a triangle and gather the sides. 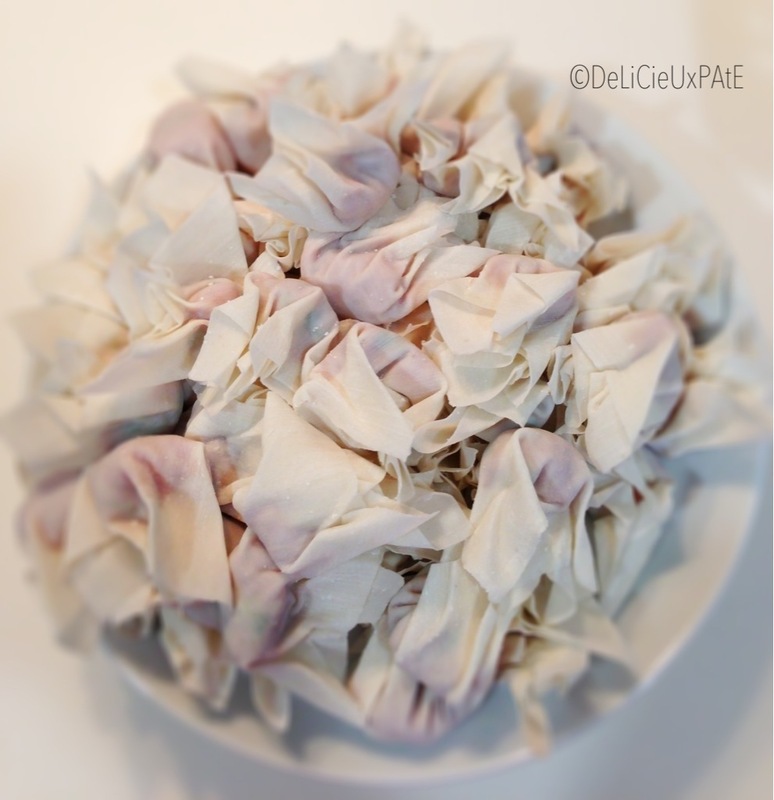 No water or egg white needed to seal the sides. 4. Remove dumplings with a slotted ladle to strain off the liquid. 5. 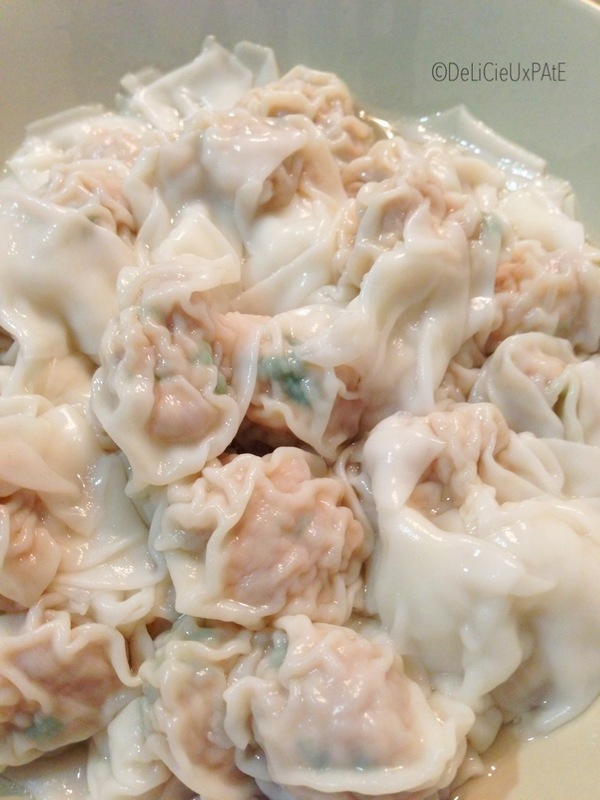 Place dumplings in a serving plate. 6. Pour 3/4 of the sauce and mix the dumplings well, make sure each of them is coated. 7. 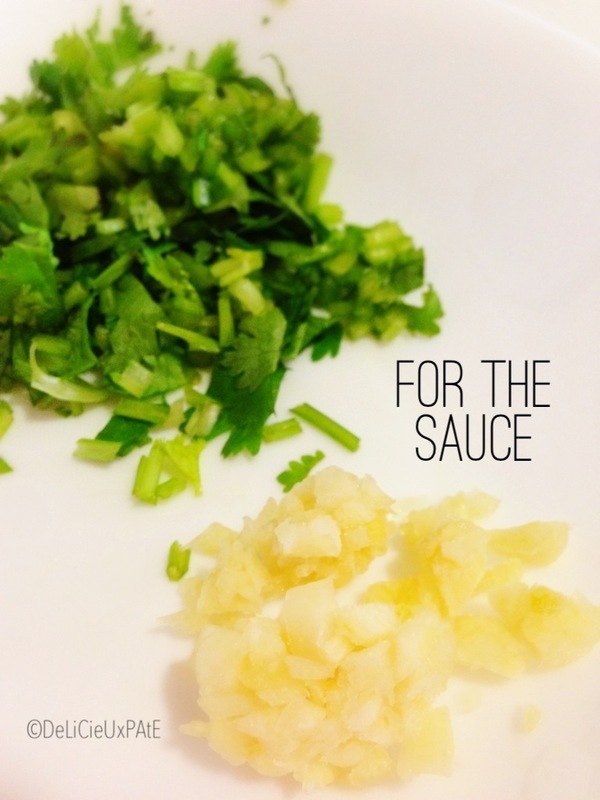 Pour the rest of the sauce all over and sprinkle some chopped coriander to garnish.